AdvanDate is pleased to announce the launch of iCupid version 12.1. This version contains 22 new responsive templates, new admin tools and new user features plus the new Mobile Dating App. Below you’ll find what’s new in version 12.1. 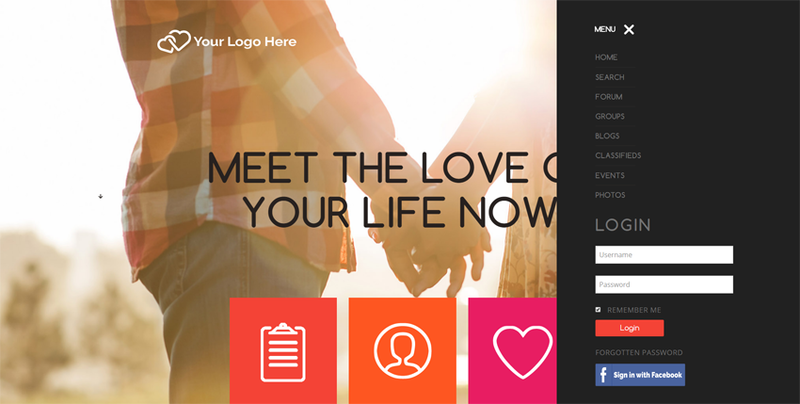 Responsive Dating Templates – Along with version 12.1 there are 22 new responsive dating templates. Using one of the responsive templates lets your users visit your site on any device including desktop, tablet, iPhone or Android device and the screen will adjust accordingly. Meet Me – This is feature where your members will be able to swipe left or right to meet members of your site. Works a little like Tinder but designed for the desktop. Near Me – This feature will show members who are near you. It incorporates a Google Map and shows their approximate location. It also shows members who are near them. This is Geo-Targeting. It takes the members IP and shows their location. Don’t worry, it doesn’t show exact locations. Just the general area. It shows the members photo as the icon on the map. Simply click the members photo to view the users profile. Mandatory Profiles – Now when a user registers and logins they will be forced to create a profile. This is critical so that you build your profile base properly. This now works for site and Facebook registrations. Report Member – Now included in 12.1 is a new tool for users to report other members. When a user reports a member, the profile will go to a new admin area called Report Members. The profile will still be active on the site. This new tool gives you the admin a way to give a profile a second look. From the Report Member you can Accept it and send it back to the members are or you can Delete/Block it. You can see this new tool in action simply by visiting a profile. You’ll find a little exclamation icon in the top right of the profile. Once clicked, the profile gets sent to admin for a look. Mobile Admin – With the release of version 12.1, we have also released the AdvanDate Mobile Dating App. The new mobile admin tool lets you create your own splash page on the app. You set the image by uploading a 400×700 image. You can also edit your “About Us” page for the mobile app. Billing Reports – We have added a new Billing Report to help you understand more of your dating site revenue. Includes custom date range reporting. Blocking Members – Now you can block a member right from the members area. When blocked the member will not be able to access your dating site. Blocking Countries – Now you can block any country from visiting your site. For example, say you only want traffic from the US hitting and using your site. Just block all other countries with one click. If you’re a global dating site you can block known spammer countries like Nigeria, Senegal, Ghana and others. IP Lookup – Now with a click of the mouse you can see where the IP Address of a user is coming from. Not only can you see the location of the IP you can also see if that IP belongs to a known scammer or spammer. You can also black the IP right from the IP Lookup. New Profile View – Now you can view and edit a members profile right from the Admin, Members area. A new on-page tool lets you view/edit the profile on the fly. Other features include enhancements and adjustments to the iCupid Dating Software. We hope you like version 12.1. The new Mobile Dating App is here. Now you can offer your members a mobile app to connect to your site. This app is downloadable from the Google Play Store and the Apple iTunes Store.